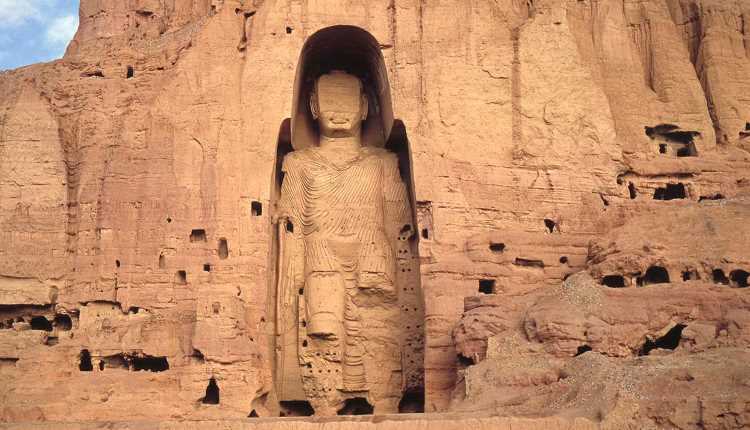 These days, the Taliban are breaking the idols of Budha as we all know. What I want to ask is what is the extent of freedom Islam gives to other religions which come under it’s rule? And secondly, is there such a belief as someone being declared wajib-ul-qatal (like Salman Rushdie or as some maulvis would catagorise people from other sects)? Broadly speaking, how tolerant is Islam actually (in practical terms, and not theoretical!)? As for the action of the Taliban on statues, let’s hear the other side of the story as well. I have a feeling that we are mostly influenced by a one-sided propoganda and we come to hasty decisions on the basis of it. I would urge you to read the presentation made by a representative of the Taliban (the text of his speech has been posted on this site) before you come to any conclusions. Allah Almighty wants us to investigate the reliability of information first before taking decisions. If there is even a shred of truth in what the gentleman has said in response to a question about what the representatives of CNN did to an interview given by Osama bin Laden, I believe these Western sources of information should not be considered thoroughly reliable. Since the messenger of Allah, Allah’s mercy be on him, came directly to the people of Arabia, it is an exclusive ruling about that particular area for all times to come that no two religions are allowed to co-exist in its geographical boundaries. For the rest of he Muslim world, there aren’t any such restrictions. The companions of the prophet practically demonstrated this policy when Islam was spread across the frontiers of the Arabian peninsula. However, allowing non-Muslims to worship according to their religious requirements is one thing and allowing their religious symbols to be made openly available for public view even if they directly violate the religious norms of Islam is quite another. An Islamic state should decide the extent of freedom that can be allowed to the minorities in such matters. A true Islamic state would most certainly not allow any traces of either polytheism or obscenity to be flaunted in the public. Whether an already existing symbol of polytheism that is acclaimed to be a treasure of ‘world cultural heritage’ should be destroyed or not is again for the people of that state to decide. The decision would take into consideration the possible outcry and resulting atrocities against Muslim minorities elsewhere in the world on the one hand and the extent of spiritual and moral damage these monuments are causing to the psyche of the local population on the other before taking a decision. No hard and fast rules, in my opinion, can be laid down for these matters. However, even if the polytheistic symbolism is to survive, for some reason, a true Islamic state should make sure that the local population is made constantly aware of the fact that polytheism is the most serious crime imaginable in Islam. There are only two reasons why a person can be killed within the permissible limits of Islam outside a battlefield: a murderer and a person guilty of taking law and order in his hands. (al-Quran; 5:33) The decision to that effect can be taken by a competent court of law appointed by the state for the purpose and not by individual scholars. The court shall first give the accused full right to defend himself and only in case when the crime is proved beyond doubt that the verdict is going to be implemented. However, in some rare cases when the criminal has created a situation which threatens life, property, and honour of a population and the competent courts feels that it was not possible to get hold of him to produce for a trial and his crime was fully established, it can declare that person to be ‘Wajibul Qatl’ i.e. to be shot dead on the spot by the security force declared competent to do so. However, it is something which would be required to be done in only exceptional circumstances. In case of Salman Rushdie, my understanding is that the decree against him was incorrect. Although what he did was highly objectionable, yet he was not a resident of a Muslim country when he committed the crime. The only proper way to handle him if he was to be punished was to ask the British government to hand him over to a Muslim state for a trial first. If one-sided decisions are allowed to be carried out anywhere in the world then anyone can kill another on the basis of such decisions. After all, different people have different perceptions of what constitutes a crime. Bal Thakery might ask, for instance, some of his fundamentalist followers to kill all Muslims who slaughter their sacred cow. One should be a little more rational and less emotional in these matters. What have we gained from the verdict against Rushdie and the public outcry against him? He still survives and has become a hero for at least those pseudo intellectuals whose only god is liberalism. Islam has been successfully projected as an extremely intolerant religion in many parts of the world. The most tragic aftermath of this entire episode has been the fact that the filthy book has been sold in millions and has been translated in more than a hundred languages. The book didn’t even deserve to be sold in thousands given its literary value. The best course of action for the Muslims should have been to act upon the Quranic advice “a’ridh ‘anilJahilin” (Ignore these ignorants) and to write effective responses to the questions he had raised. That fiflthy book is not the first of its kind that has been written. However, the massive Muslim outcry was unique and I have a feeling that we have in the process managed to keep many of the addressees of the message of Islam away for ever from receiving it with an open mind. Paintings and sculptors – distortions of God’s creation?